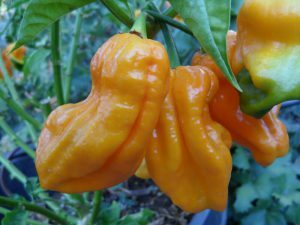 This is an extremely hot pepper created and developed by the Italian growing organization known as AIASP. It is over 5 years old as of 2015 and how they made it is unknown. It has a very pimply rough looking outer skin. 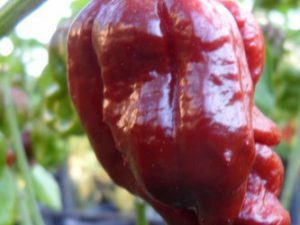 AIASP released seeds in an effort to raise funds to support their studies and seed bank in Italy. Before 2015 seeds were not available to the public. 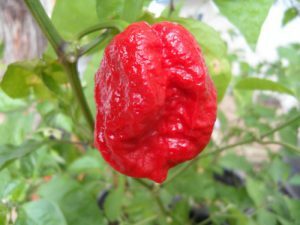 The Genghis Khans Brain has nice fruity tones and rivals the heat of any other so called superhot pepper. It ripend from green to red. 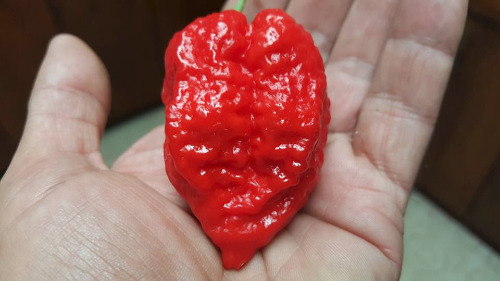 There are no official tests but many say that it blows away the Carolina Reaper! 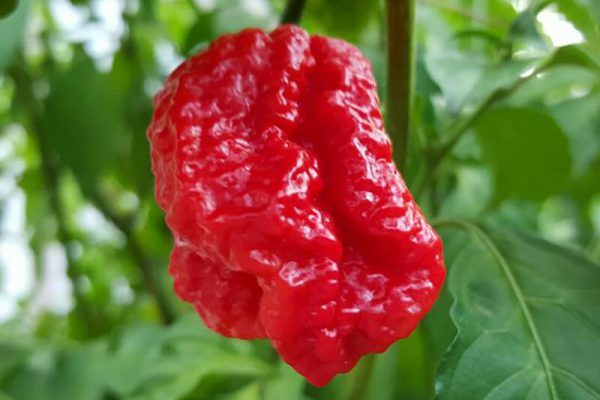 The Genghis Khans Brain chile plants grow over 4 feet tall.